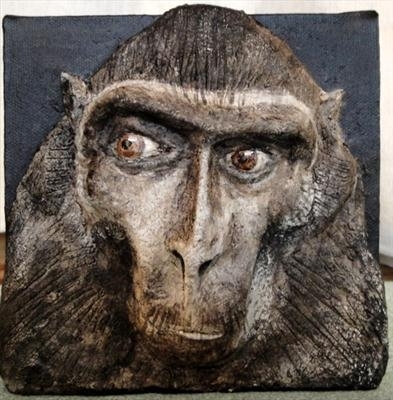 Primate portrait; relief sculpture in paper pulp on canvas. 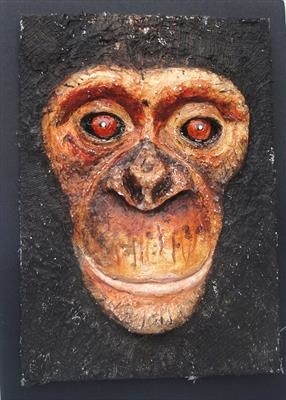 Framed chimpanzee portrait. 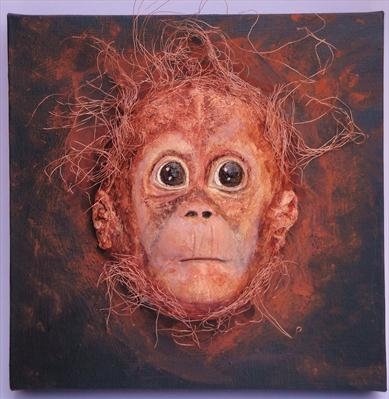 Rescued after parents killed for bushmeat trade in Cameroon.